I wrote about Grandma a long time ago – you can read that post here. So, he was her choice of whom to look at across the breakfast table every day 🙂 They were quite a couple. Not terribly affectionate in front of other people, but Gramps was an ornery flirt to her. They kept a nice farm, raised 4 very independent-minded kids, who are all wonderful people, and from that, there are 9 grandkids and 13 great grandkids. Their legacy definitely lives on! I will start with what is just a fond memory, and that is riding in the combine. He kept it too cold in the cab and he didn’t have a buddy seat, so I had to sit on an upside down coffee can. But, I could ride for hours if I didn’t have to trade off with one of my brothers or sister. His combine always smelled of Camel cigarettes and wheat chaff. I loved it! I clearly recall a time after a wind storm. Grandpa and Grandma’s place has a LOT of trees – elm trees to be specific. They do NOT handle wind well. So, I got to pick up limbs and sticks with Gramps. He was pretty good about sitting down to rest if necessary and have a glass of water. While sitting, he informed me that the wonderful things married couples get to do don’t stop as you get older, it just takes longer. I laugh about that to this day! I was only in high school at the time – I guess he wanted me to know he and Grandma were still frisky, LOL! One of my favorite stories from him was a few years ago. We were having Christmas at his house and I was going through old pictures. He spent nearly an hour telling me about hauling cattle to the stock yards in Omaha and Kansas City. He remembered vividly the buyers who came by the pens, who was in the truck line with him, how many head he had taken on different trips, and most importantly, how much they got paid for different loads. It was so interesting, I could have listened much longer! 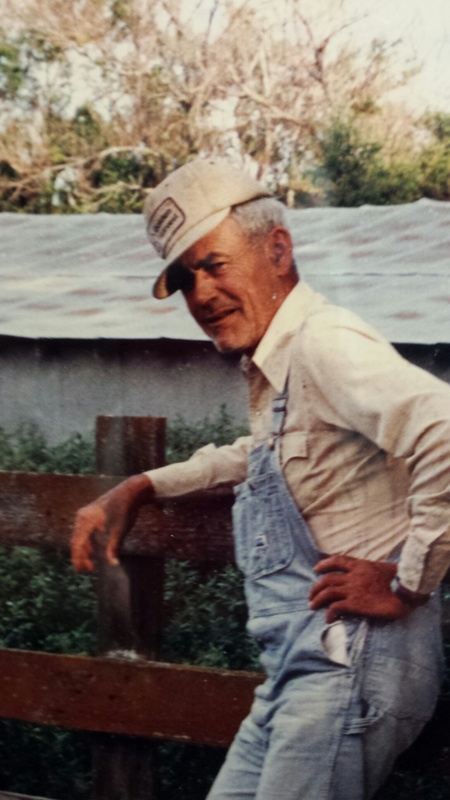 He has certainly done and seen so many different things – he was an avid hunter, loved to fish, pointed out to Grandma where she had missed when dusting, hated green beans, and loved laughing with his friends and family. We all will have many memories of Gramps and I wish him nothing more than a peaceful, Merry Christmas in heaven.